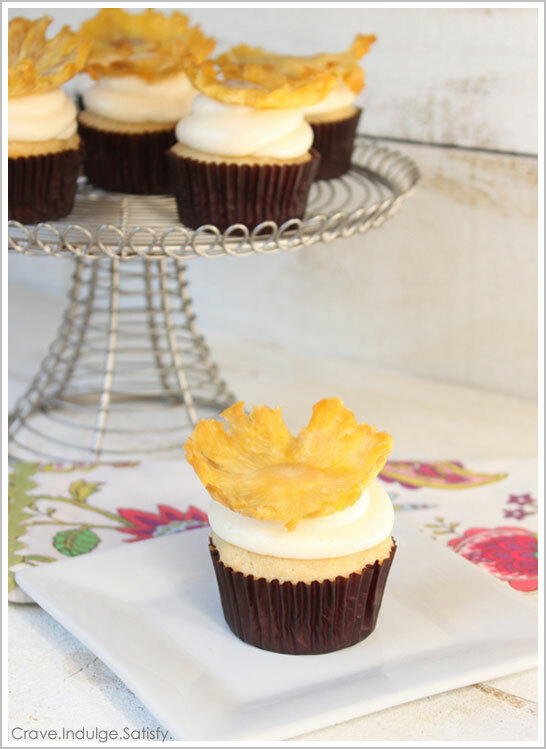 We’re wrapping up Beach Week with a tropical cupcake recipe from our contributor, Lauren of Crave. Indulge. Satisfy. What a sweet ending to our fun in the sun! I’ll let Lauren take it away from here…. Summer is quickly coming to an end and beach season is almost over, but before we dive into the fun of fall baking I wanted to share one last summer themed cupcake recipe with you all! Every week when I go to our local farmer’s market I always grab a pineapple. It’s one of my favorite fruits and I love how you get a little bit of sour and sweet in every bite. I’d been thinking of some ideas to incorporate pineapple into cupcakes and mentioned the thought of a pineapple flavor to Carrie. She loved the idea and suggested giving Martha Stewart’s dried pineapple flower a try as a garnish on top! 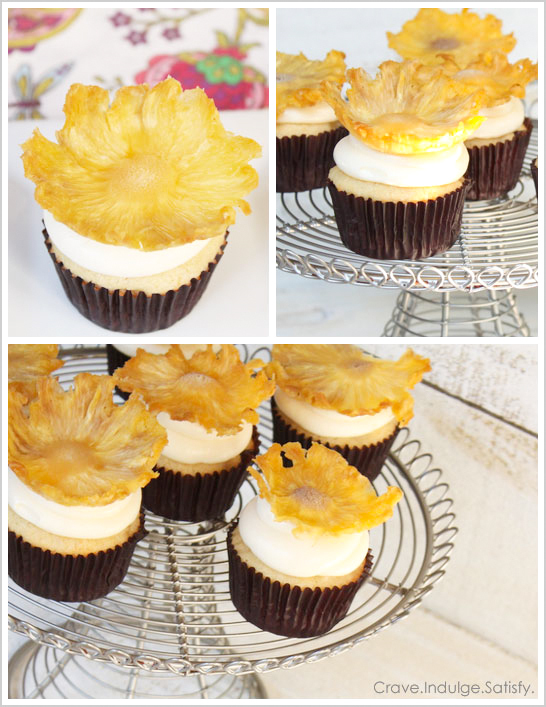 So today I’m excited to share with you my Pineapple Cupcakes with dried pineapple flowers. First let’s talk about the cupcake and then we will move on to the flower. These cupcakes start as a basic yellow cake and contain both crushed pineapple and sweetened shredded coconut to create a tropical, fruity and light cupcake. In every bite you can taste the texture of the pineapple pieces and coconut flakes. Swirled with a generous portion of cream cheese frosting on top, this is a perfect treat to enjoy on these last summer days. So now for the pineapple flowers. If you happen to own Martha Stewart’s Cupcakes book like me, then you have probably seen this dried pineapple flower a time or two as you flip through page after page gazing in amazement at all of her fabulous recipes and decorations. I know I’ve looked through the book a million times always skipping over this section, intimidated, thinking that there was no way I could make that flower. But this time I decided heck why not give the pineapple flower a try, thanks to the suggestion from Carrie! So I turned to pages 222-223 in Martha’s book and studied the pictures for a little bit and read over the directions about five times before I finally grabbed an knife, and started slicing away at my pineapple. 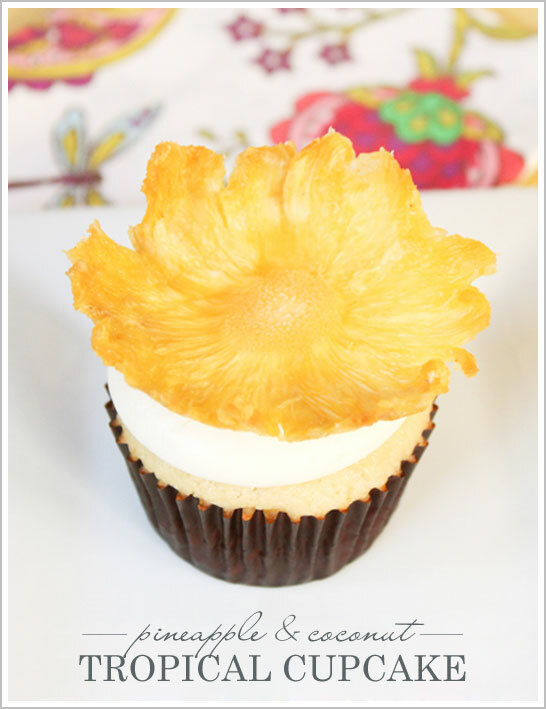 I was on a mission to create these gorgeous flowers to go along with my pineapple cupcakes. I must say for a first attempt, I was pleased with how the flowers turned out. This procedure really wasn’t that intimidating after all and I look forward to trying it again sometime. I hope you all decide to give this recipe and these dried pineapple flowers a try as you say farewell to summer! In small bowl combine all dry ingredients: flour, baking powder and salt. Whisk until well combined. In bowl of stand mixer cream butter, sugar and vanilla for about 2 minutes. Add eggs and continue to mix well. Gradually add the flour mixture and mix until incorporated. Stir in the crushed pineapple and coconut. Fill cupcake liners about 2/3 full with batter. 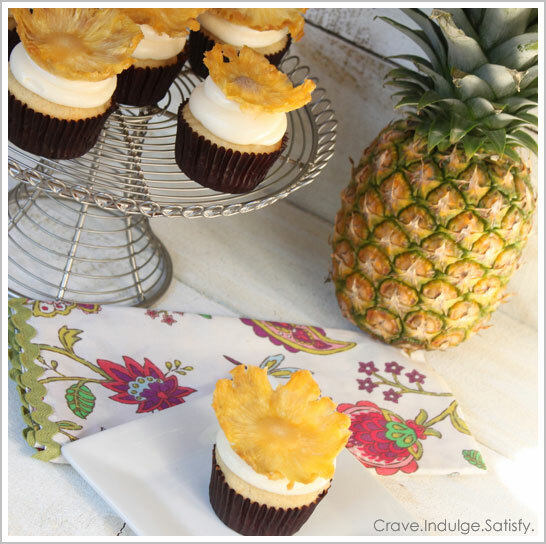 Once cupcakes are cool, decorate with cream cheese frosting and dried pineapple flower. 1.In bowl of stand mixer cream butter and cream cheese for about 2-3 minutes until creamy. 2.Gradually add in confectioner’s sugar mixing well and scraping down sides of bowl. 4.Place icing in piping bag fitted with large round tip and swirl on top of cupcakes. 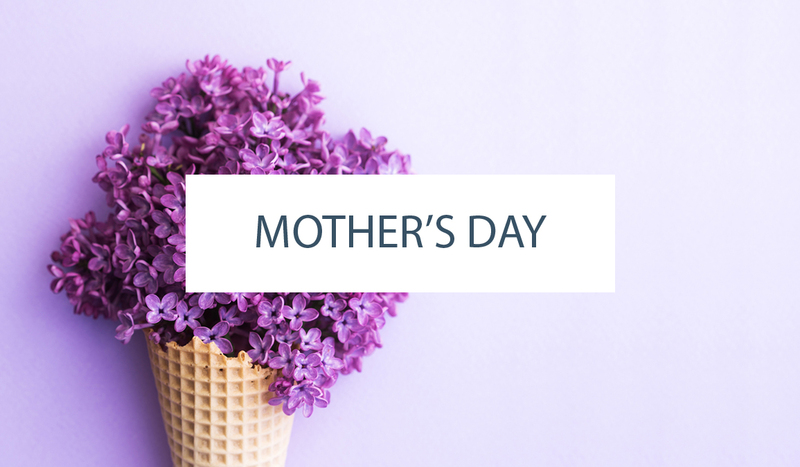 Refer to online tutorial from Martha Stewart (found HERE) to make dried pineapple flowers. Note: I found it was easier to remove the pineapple “eyes” with a 1/4 tsp measuring spoon rather than a small melon baller. I hope you all enjoy these last few days of summer, however you may be spending them! wow! wish I had this tutorial before my Luau last week. These look great. As soon as I read tropical , I knew the recipe was for me.. thank you..
All I can say is…..oooohhhhh, yum! 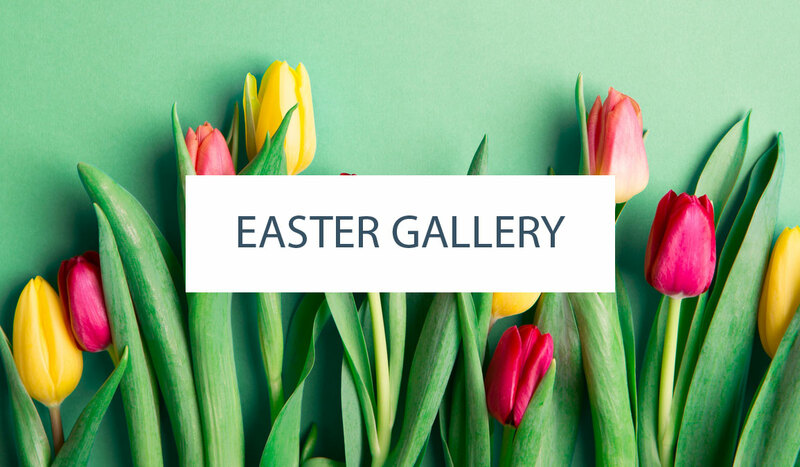 I just came across ur blog, and love it already! So fresh:) the summer is just there:) greetings from yummydesign! Love how it looks like a sun, great for a summer refreshing snack. These look great for my dad’s birthday! Could you use pineapple puree instead of crushed though?